1,305 backers pledged $90,118 to help bring this project to life. Diamond Trust of London, my two-player strategy game for the Nintendo DS, is finished, approved by Nintendo, and ready to be manufactured into cartridges (see IGN's preview or Pocket Gamer's preview). As I faced Nintendo's large manufacturing minimum, a serious question arose: how many people in the world would want to play it? Kickstarter is a perfect way to answer that question. You get a boxed copy of the game, shipped to your doorstep. Higher funding levels get the limited edition, and even higher levels get multiple copies, special credit, and particular sequence numbers from the limited edition. The first run of Diamond Trust will be a limited edition with 1000 units, signed and numbered, with very special items included inside the package. I've decided to keep the nature of these special inclusions secret as a surprise, since every package will have a unique collection of special items in it. 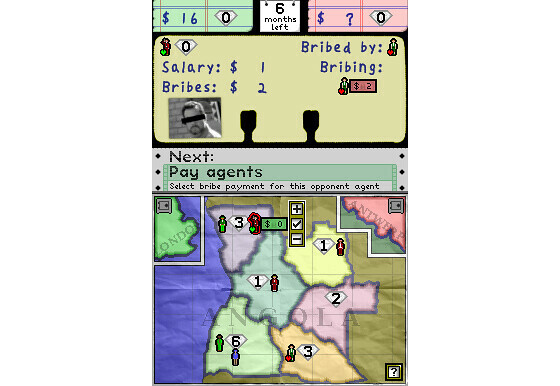 Diamond Trust is a two-player, turn-based, simultaneous-decision strategy game about diamond traders operating in Angola in the year 2000. Over the course of eight in-game months, diamonds accumulate in various regions to be taken by the highest bidder, and whoever brings the most diamonds back from Angola wins. Outfoxing your opponent is your main tactic, but bribing and spying mechanics complicate things. When agent loyalty waivers, your hidden information can be revealed to your opponent without you knowing that it has been revealed. On the other hand, you might know that one of your agents has been bribed by your opponent, but does your opponent know that you know? 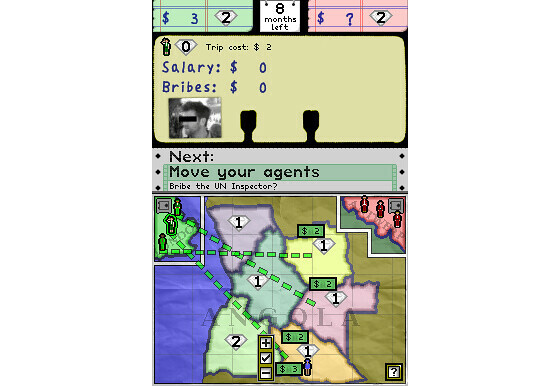 In many ways, Diamond Trust plays like a tightly-crafted board game, but by leveraging two separate views of the world (on two wireless-connected DS units), it also does what no board game can: secretly reveal one player's hidden information to the other player without the first player being aware of the reveal. 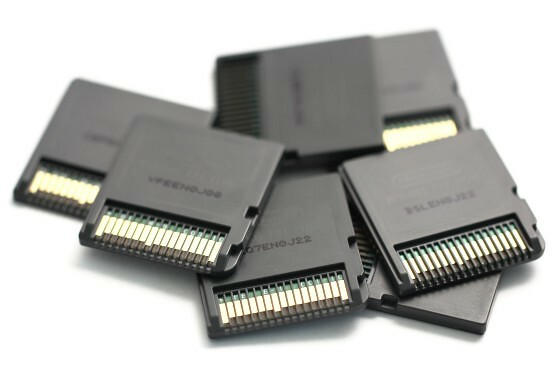 To play the game against an opponent, you need two DS units, but you only need a single cartridge---the game works fine over DS Download Play from one cartridge. It's even possible to serve a whole Diamond Trust party or tournament from a single cartridge via Download Play. There's also an AI opponent provided for single-player practice games. There is one minor benefit to playing with two cartridges: both players can hear their own, separate, generated music (the music is too big to send to the downloading player during DS Download Play). Tom Bailey's interactive music changes based on what's going on in the game, but it also functions in an "endless music generation" mode if you close the lid and plug in headphones or speakers. Never the same music twice, and you can listen for many hours before you'll hear all the great moments that his music has to offer. Yes, the game has a fully-interactive soundtrack, but that won't work on your MP3 player. We've assembled a collection of linear music to suit that purpose---original demos, musical sketches, outtakes, and remixes. Hear the six original musical sketches that served as inspiration for some of the interactive tracks that made it into the game (you can listen to two examples above). Tom has also arranged a bunch of remixes and other interpretations of the music in the game. You'll even get to hear stuff that didn't end up in the game for one reason or another. The Soundtrack Anthology will be a private, exclusive digital download for Kickstarter backers who receive the Limited edition or who pledge a bit extra for the regular edition. The material in the Anthology will never be publicly available after the Kickstarter campaign. For more information about the game, take a look at the game's official website. A physical photocopy of the redacted company memo from the Diamond Trust of London archives (mailed worldwide).